Verification code has been sent to your registered email Id. You are required to enter the verification code sent in your email when you login to your SaySO account for the first time. This is just a one time process to authenticate your registered email id. If you have not received the code, please click on the resend code link. inexhaustible source of magic we have "
At SaySO we conduct research studies for leading businesses, market research companies and government agencies. By registering with SaySO, you have the opportunity to participate in a range of PAID market research studies on various topics. Nobody's voice is as powerful as yours. As a consumer, you have the distinctive honour to share your viewpoint with businesses, telling them what you expect from them in order to buy their products or services. You, as a customer are the one who is relied upon several times for your input, opinion or feedback about a given product category, service or scenario. Therefore, we value your SAY and reward you for it, as it lends us a helping hand in serving our clients to the best of their interest. We send you invitations to take part in various market research studies after you register as a member. We pay you up to 300 Scoins for each study you participate in. We protect your personally identifiable information and privacy 100 percent. We will always tell you how long a survey or a study lasts and how much we will pay you even before you begin. You will be truthful when providing information about yourself. You will answer the survey or studies you participate in to the best of your knowledge and belief. Here at SaySO, we understand that you, as a consumer, are the bedrock that keeps the businesses and their brands running, so why not get paid for your contribution? As a member, with every survey you complete, you will earn 'Scoins' which get added to your personal SaySO account. 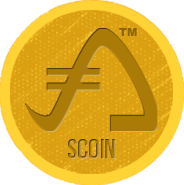 Scoins (abbreviation for SaySO Coins) is a virtual currency created specifically for the SaySO online community. The value of 1 Scoin = 1 Indian Rupee. Collected Scoins can be redeemed by the members in the form of various gift vouchers of popular brands, online coupon codes or movie ticket vouchers available in our rewards catalog. 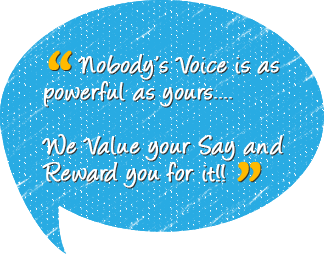 make your say, Get Paid!